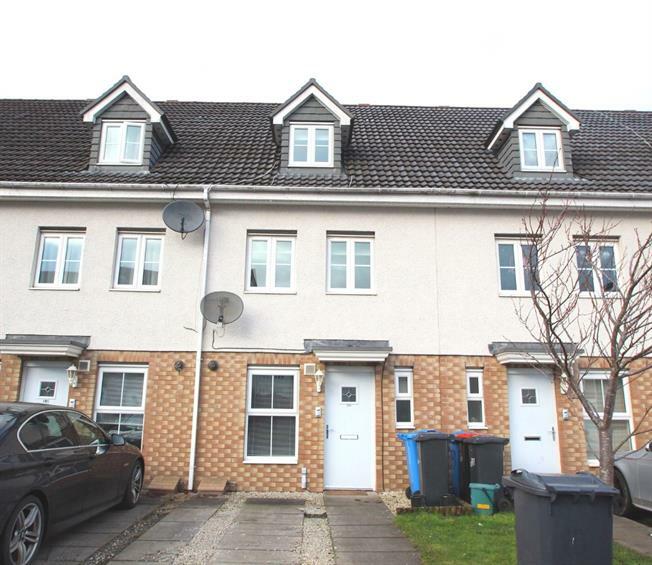 3 Bedroom Terraced House For Sale in Livingston for Offers Over £170,000. A rarely available mid terrace townhouse in a preferred position of this popular residential development in Eliburn. The property offers flexible family accommodation over three levels, presented in 'walk-in' condition and complemented with a host of features including double glazing, gas central heating, excellent storage, family breakfasting kitchen with appliances, en suite facilities, three good double bedrooms, off street parking and fenced rear gardens. The principal accommodation comprises reception hallway with storage and W.C, bright and well proportioned lounge with a useful storage cupboard and French doors to the enclosed rear garden. The fitted kitchen is enhanced with a range of storage units and appliances to include oven, hob, hood, fridge/freezer and washing machine. On the first floor are two double bedrooms with fitted wardrobes and the bathroom, whilst the second floor offers the generous master bedroom with dresser and separate shower room. Viewing is recommended given the marketing price.